I feel terrible. I always feel as though I'm letting someone down when I don't post regularly. But I had a pretty crazy couple of weeks. I've been working on my thesis and getting a poster and abstract ready for two different conferences. But I'll update more on myself later, since I have photos on my laptop that I want to post. For now, I'm finally getting to featuring a few items. The theme today is, of course, Halloween! 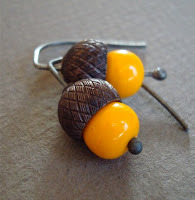 For starters, I have already featured a few fall earrings from clevergirl before, but I just couldn't resist these Autumn earrings from her shop. These bead caps are the perfect lid for the brilliant vintage orange acorn bottoms. 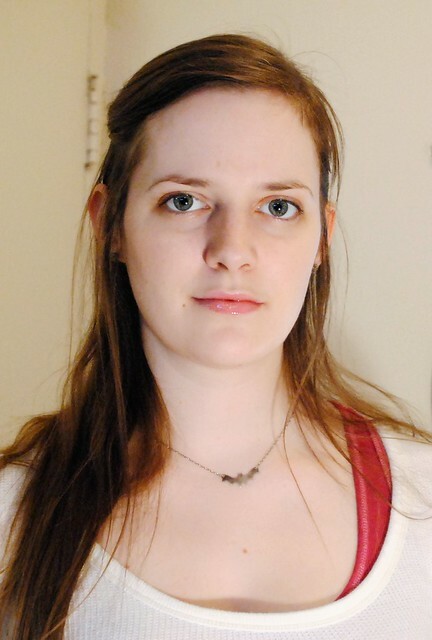 Simple and sweet, you couldn't ask for a more perfect and versatile fall earring. 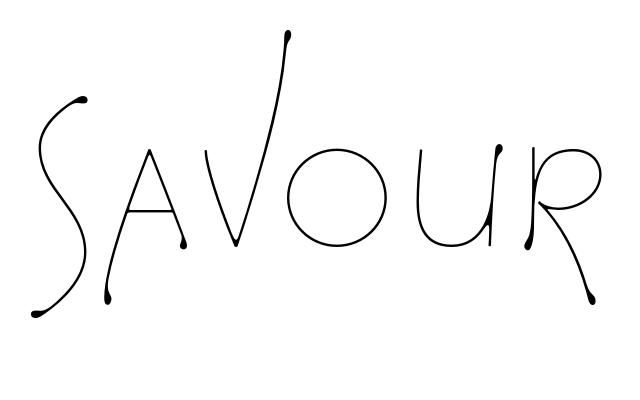 Do check out this shop, it is one of my favourites and is chock full of gorgeous and unique pieces of jewelry. This one of a kind abstract candy corn pendant was completely handcrafted by bcyrjewelry. It is a little pricey, but entirely worth it! You can tell that a lot of time, patience and love went into this piece. 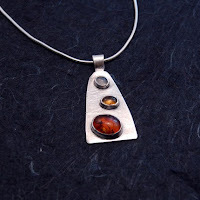 The three stones are moonstone, citrine and amber, all set by hand on a sterling silver triangle with handmade fine silver bezels. This shop is part of the street team EtsyMetal, and this piece was made especially for the teams September theme: candy! See? Nothing is more recognizable as seasonal candy than candy corn! I found another abstract representation of candy corn that I particularly loved. 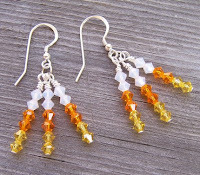 These candy corn sparklers were handcrafted with Swarovski crystals by Saralibbey. 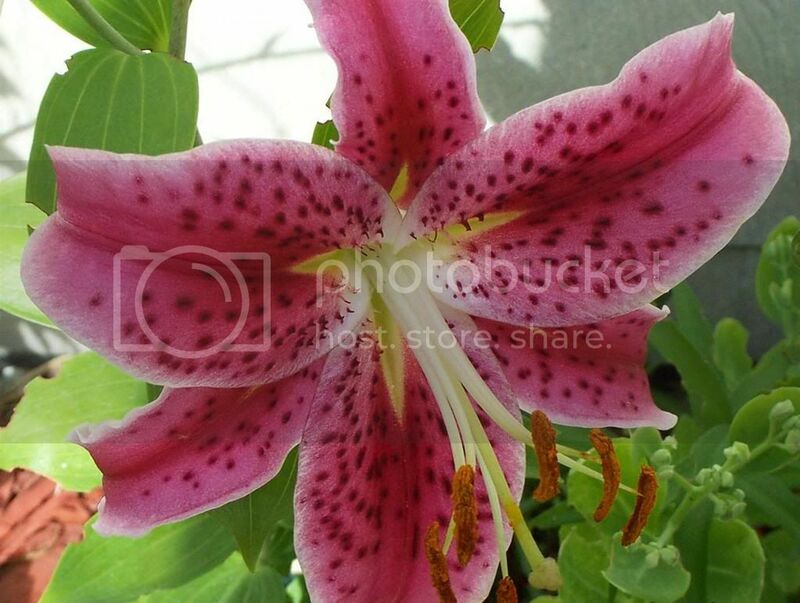 Aren't they pretty? Although they don't necessarily show the typical triangle candy, the distinct colour combination and strategic use of 3 sticks to represent a triangle does the trick. Notice how they form a pyramid but you still definitely see the triangle candy corn? Perfectly subtle and oh-so clever. Now, even though we would like to survive on candy only during the Halloween season, we do still have to eat regular food. Of course, the table must be suitably decorated. 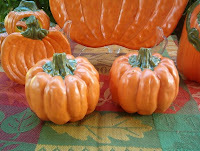 And what could be cuter than these pumpkin salt and pepper shakers?? Created by TexasCeramics, these are so real looking they might be mistaken for the real thing. "Where's the salt?" ...you might have to point them out to guests, repeatedly. But it would be well worth it, because they are so darn irresistible! The picture leads one to believe there might be even more pieces available in store that would match these cute shakers... why don't you hop on over to TexasCeramics right now and look around? I found a matching spoon dish, serving tray and soap pump and many more gorgeous fall pieces. 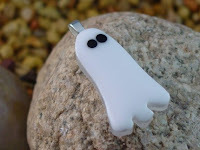 Another piece of jewelry I just couldn't resist: this fantastic little Casper pendant. Isn't he adorable and incredibly spooky? Those black eyes are looking directly into my soul! Heehee. Made by jochris12, a member of the Etsy Glass street team, this little fellow is sure to be the perfect compliment to your fall collection. Prefer gold? Just ask, the bail can be gold or silver, whichever you prefer. 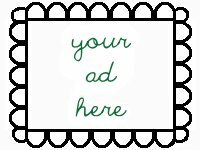 Finally, we wouldn't be part of Etsy if we weren't the least bit creative, so what about Halloween supplies? These cobwebs are my favourite: they are very versatile items by BeadNeeds that can be used in many different ways. They're perfect as beads for all your Halloween focal needs, but can also be easily used in scrapbooking, card making or attached as a tag for any of your Halloween gifting needs. Be sure to stop by this shop for all your beading needs ~ there's quite a unique selection. Ok, an update on me coming soon! Oh Thank you so very much for putting my candy corn earrings in. Wonderful reading too. I think everyone understands that life comes before blogging!